On Wednesday, 10 October 2018, Bill Ashcroft will give a public lecture at the University of Bonn. 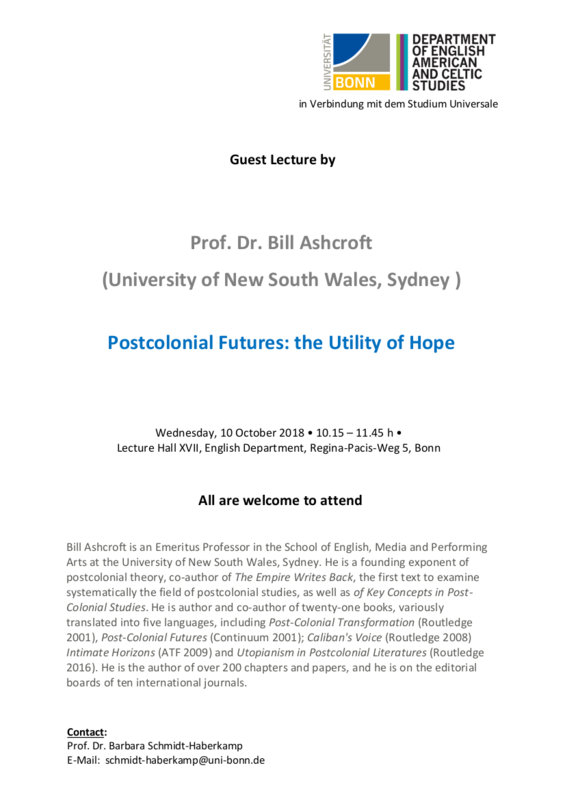 Hosted by Prof. Barbara Schmidt-Haberkamp, he will talk about “Postcolonial Futures: The Utility of Hope.” All are welcome and warmly invited to attend. Please click here to download the flyer.